The sorry state of American journalism is on full display in the coverage by the corporate media of the ongoing crisis surrounding Iran's nuclear fuel program. The leaders of both Israel and the U.S. have publicly threatened to attack Iran -- Israel saying it could do so within weeks, President Obama warning that he would consider attacking Iran militarily if he were convinced that that nation was building an atomic bomb. Not once, in reporting on these threats of aggressive war by Israel and/or the United States, has any major U.S. news organization, in print or on the air, included any reference to the U.N. Charter or to the fact that what is being contemplated is an invasion by Israel or the United States of a country that has not even been shown to be producing or planning to produce a nuclear weapon, much less to be in possession of one. Not once, in any of these daily reports on the Iran "crisis," has any report by these news organizations -- including National Public Radio -- has a source been interviewed to point out that what is being discussed is the most serious of all war crimes: the crime against peace (the same crime that led to the hanging, after World War II, of several military leaders in Japan and Germany). The law itself is crystal clear. Under the UN Charter it is the ultimate war crime for a nation to initiate an aggressive war against another country that has not attacked it or that does not pose an "imminent threat" of attack. 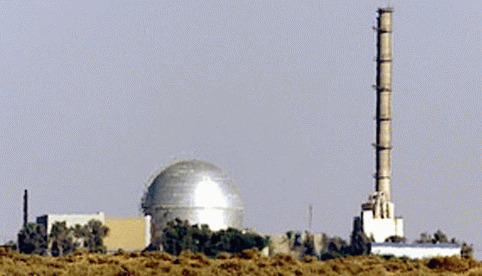 And given that even Israeli and US intelligence officials concede that Iran is not at this time making a bomb, and thus cannot hope to have a working one even a year from now were they to begin a crash program, there is simply no imminent threat. Even when a perfect opportunity to make this point -- a public statement Feb. 27 by Brazil's Foreign Minister Antonio Patriota, at the United Nations, reminding UN Secretary General Ban Ki-Moon that an attack by Israel or the US on Iran would be "contrary to international law," and urging Ban to address the issue -- this trenchant and news-worthy warning was totally blacked out by the U.S. corporate news media.